Been a while since you’ve played Fallout Shelter? Bethesda’s first-ever Fallout title for mobile was a huge hit last year, and was arguably the big hit among mobile games for Android and iOS gamers alike. 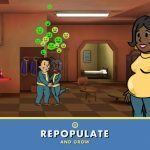 Back then, we covered anything and everything Fallout Shelter-related, as we sought to help the game’s many players in surviving their post-apocalyptic surroundings and properly managing their Vaults. But like all great games, Fallout Shelter keeps getting better with each new update. One recent update added a new feature, and that’s the ability to buy, keep, and take care of pets, and the latest one has built on this, introducing a new type of pet for you to unlock. According to Bethesda, the new update comes with new dogs and cats, as well as parrots and new pet bonuses. 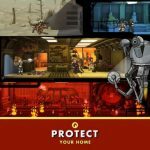 That’s just one of the many new and/or improved features you can look forward to, but for this particular Fallout Shelter strategy guide – our first in months – we shall be looking at everything pet-related. This should be of great help if you’ve already played the game, but are only getting back to it now thanks to the new update. If you’ve just downloaded the new update, the game will get you started by giving you a free pet of your own. Everything starts from one little thing, and it’s that one free pet that will start you on the way to collecting all of the pets. But how do you get more pets beyond the complementary one you start with? It looks like the best way at this point would be to pay real money; pets aren’t that expensive, with one of them costing $0.99, and a bundle of five setting you back by $4.99. (No bulk discounts here, unfortunately!) You can get one by opening a lunchbox, though the odds of a lunchbox containing a pet really aren’t too high. Like your clothing and weapons, you can use pets by equipping them on your dwellers. 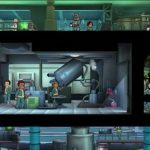 There are only three types of pets right now – dogs and cats debuted when the pets feature first arrived for Fallout Shelter, while parrots got added in the new update. Then you’ve got rarity tiers for each of these different animals – common pets, then rare ones, followed by legendary ones. Your legendary pets, of course, are the cream of the crop, and they come with their own special bonuses, and their own fixed names. It’s going to be very, very hard to collect legendary pets, though we hope the game makes it a bit easier on coming updates. Whether you’re taking care of a dog, a cat, or a parrot, your pet carriers have their own bonuses. There are some pets that add to your defenses by improving damage resistance, and some that can multiply your health by two. Interestingly, there are even some that could increase the number of item drops you encounter, or the number of bottle caps (the game’s currency, in case you forgot) you may earn. 4. How Many Pets Can Your Dwellers Have? While it may seem tempting to go overboard early on with the pets, you should also be aware of the limitations on pets. For example, if you’ve got a one-unit room with the maximum two dwellers working inside, only one dweller, and not both, would be able to have a pet companion equipped. That means you won’t be able to use all your pets at the same time. 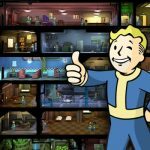 This is our complete guide to pets in Fallout Shelter. Stay tuned, as we will update this guide, whenever we discover additional hints for the game.